The art of Daito ryu aikijujutsu is one of the oldest traditions in Japanese koryu bujutsu. 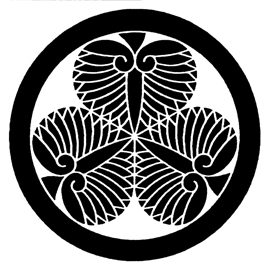 Its origin lie in the convergence of several martial disciplines which came together in the Aizu clan, where formal bujutsu instruction was a priority. The creation of the Nishinkan, a martial art university, with all its separate dojos and a diversity of arts being taught is only part of the circumstances that favored the development of Daito ryu within the Aizu domain. 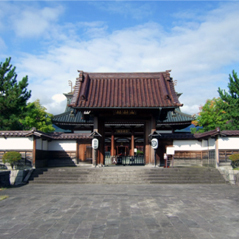 One determining factor is, to a certain degree, coincidental, since it was in Aizu where certain families and individuals came together, bringing with them their own arts, experiences, and expertise in jujutsu, swordsmanship, spearmanship, horsemanship, archery, strategy, and other war-related arts. Other non-martial arts were also valued such as calligraphy, poetry, healing arts, ethics, etiquette, and other areas of learning more related to peace. Overall, etiquette was the cohesive link among all these disciplines, for the spirit and conduct of the warrior was equated to, and sometimes used to measure, his true worth and fighting skills. The more traditional lines of Daito ryu today still give priority to the spiritual training of the student, and judges his or her progress by means of character, dedication, humility, willingness to contribute to the welfare of the dojo, the progress of the fellow students, and other traits that show a loyal and selfless spirit. These make a student worthwhile to be instructed in the inner secrets of the art. Hence, the teachings are geared to train and test spirit and character first, and techniques are taught accordingly. The empty hand or jujutsu techniques of Daito ryu are separated by catalogues called mokuroku. The contents of each catalogue varies with each line of Daito ryu, but in each of them they provide the progression in which techniques are taught. The basic catalogue, known as hiden or shoden mokuroku, is the foundation of all the other techniques found in subsequent catalogues, making it unwise to bypass, or even take for granted the first techniques learned. As in all true bujutsu, there are no profitable shortcuts in Daito ryu. Each group of techniques illustrates a particular set of principles. Each individual technique within a group exemplifies a particular type of execution within those principles, and each variation of each individual technique adds to the range of those principles. Although the techniques may seem outdated to the untrained observer, it is the principles behind each of them that validate the technique and make them timeless. Once a student absorbs the principle he or she will be capable of adapting it to the circumstances and can make it as current as need be. However, the combative edge of an art is not sufficient to justify its preservation. It is the noble spirit behind its teachings that makes it valuable. These principles are not presented to the student in a clear, detailed form. Such a way of teaching would defeat the underlying purpose of training the spirit and encouraging hard work. Traditional teaching of Daito ryu abhors lengthy explanations, while encouraging repetitive training. A strong spirit will achieve satori (enlightenment) and capture the technique, while a weak one will eventually become frustrated and reject the teaching, thus thinning the lines of the student body leaving only those who are worthy of the higher levels of instruction. All techniques are traditionally taught at three different levels: kihon (basic), oyo (practical), and henka (variation). 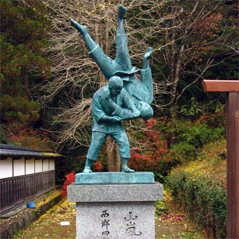 The kihon form is the one used in public demonstrations, frequently and intentionally omitting details of the execution to avoid the stealing of the technique by an observer. Some teachers have great skill at hiding, deleting, or changing elements of a technique in demonstrations, but still make the techniques look extremely impressive. Some individuals, even students, copied the exaggerated techniques and, suprisingly, they have become part of the formal curriculum in some cases. Regardless, the curriculum of Daito ryu remains one of the most complete and comprehensively laid out traditions in koryu bujutsu. It is not an easy one, nor is it meant to be. Its potential lies in that initial apparent complexity and in the physical and mental demands it makes on the student. In the end, the realization of the simplicity of what at first looked unattainable when the student began training makes all the efforts worthwhile, and his or her perseverance made the student deserving of the teachings and eventually of the right to teach.